Floor grills are the exhaust grills fitted at different locations over the trench. The spent air along with floating fiber passes through this grill into the trench. Floors grills are made of heavy duty pipes / sheet metal duly powder coated / galvanized with outer fixing framed in MS duly painted. A Floor Grill is a building component able to be placed in floor frames. They are the deployable object that is placed within floor frame, and it can be used as an alternative floor option. 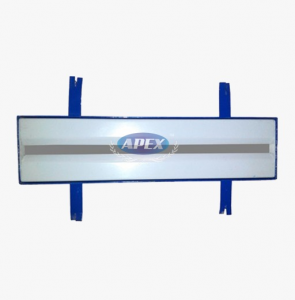 The floor grills can also be helpful on the upper floors of houses as it allows one to see down to the floor below through the tiny holes in the grill and monitor what’s going on below them. Floor grills offer less health, and invariably protection than sheet metal floors. It is recommended to upgrade the floor frame in which the floor grill is placed to at least stone so that it will not prove to be a liability for the base. Floor grills are the exhaust grills fitted at different locations over the trench. The spent air along with floating fibre passes through this grill into the trench. Floor grills are made of heavy duty pipes/sheet metal which is duly powder coated/ galvanized with outer fixing frames in MS duly painted. 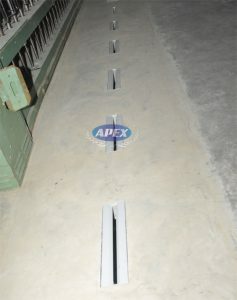 Floor Grills are the exhaust grills fitted at different locations over the trench. The spent air along with floating fiber passes through this grill into the trench. Floor grills are made of Sheet metal with Inner and outer fixing frames in MS duly painted / Zinc coated.